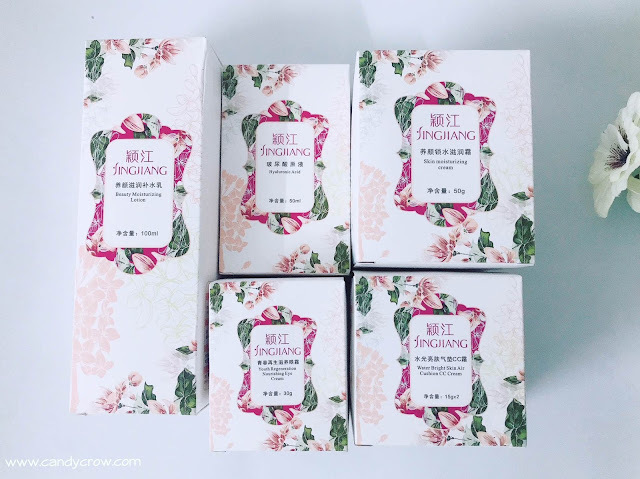 During my visit to Shanghai I was hunting down for good skincare range of products that could nourish and add a healthy glow to my skin. 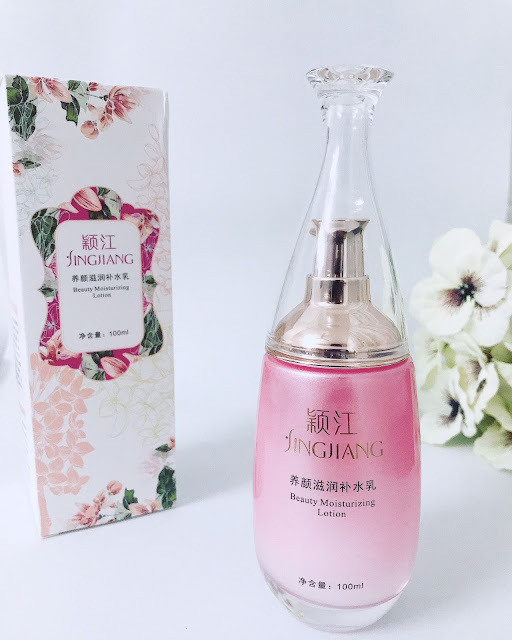 A good friend of mine recommended me to try out Yingjiang beauty products. 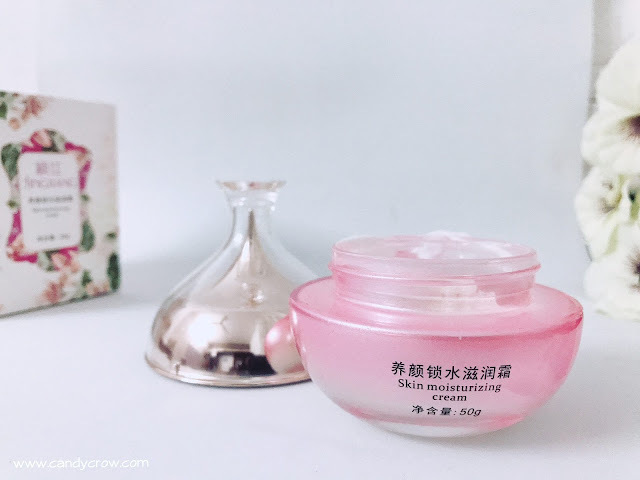 I tried out their tester, liked it a lot and ended up with Yingjiang Moisturising lotion, Moisturising cream, Cushion CC cream, Eye cream and Hyaluronic acid from their range of products. Other than these mentioned products they also have a cleansing cream. Yingjiang hyaluronic acid comes in a pink color transparent bottle with dropper. It does not have any fragrance, and it is translucent. It has hyaluronic acid and collagen as one of their key ingredients. 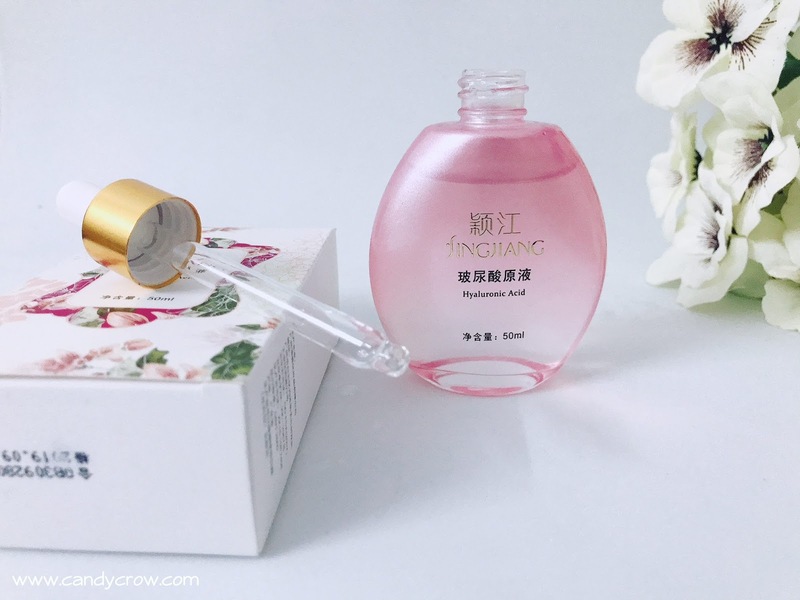 Four to five drops of this serum is enough to moisturize the face. The serum steeps into the skin quickly and does not leave any oily residue. I usually use this serum as a night treatment. It did not lead to any breakout, YES it made my skin supple. Cushion CC cream is the hot and happening thing in the Korean makeup industry. If you are wondering what CC cushion cream is, it is a liquid foundation in a sponge. Cushion CC cream comes in a compact foundation type packing along with a sponge which dispenses the cream and an applicator. 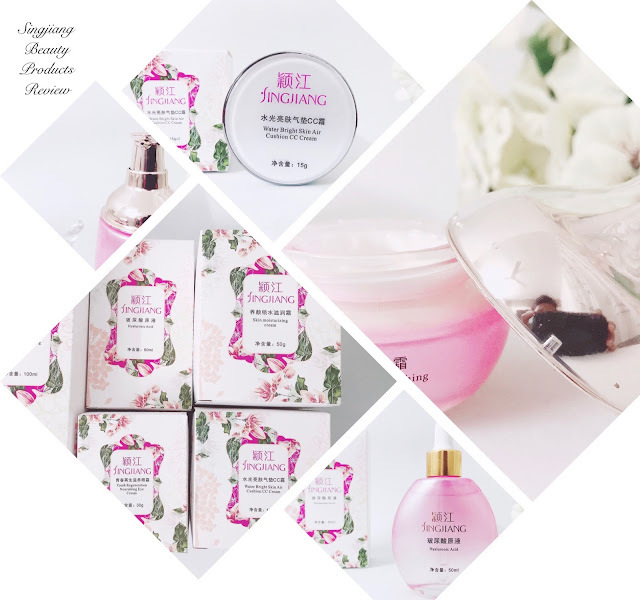 Yingjiang cushion cc cream has jojoba oil, collagen, mulberry, pomegranate and yeast extracts. When you press your applicator or finger on the cushion, the liquid foundation comes up, and you can apply it by tapping it on the face. 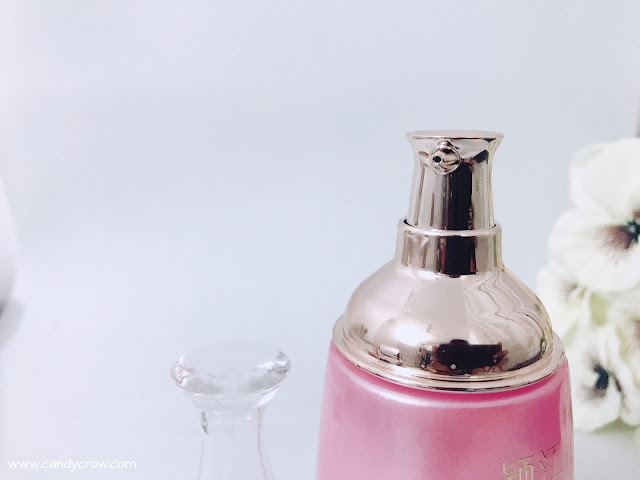 CC Tips: Usually, Cushion cc creams give a beautiful finish when applied with tapping motion rather than applying it with a foundation with a brush. I use cushion CC cream by applying it with my beauty blender. I press my wet beauty blender on the cushion and tap the cc cream on my face with a bouncy tapping motion. 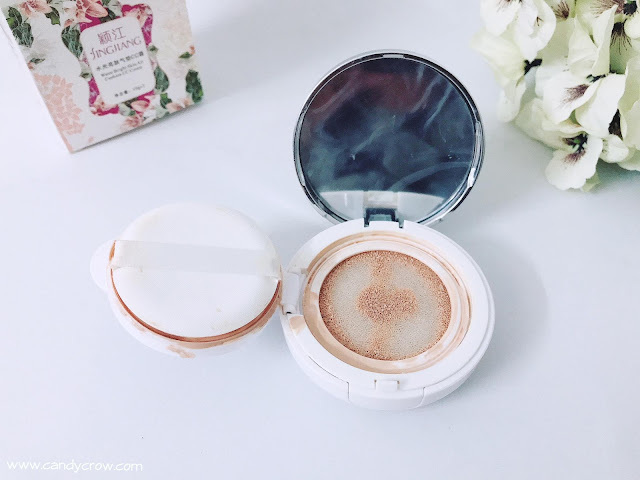 The cushion cream gives light coverage and feels light on the skin. It also adds a beautiful, healthy glow to the skin. If you are into natural dewy finish, then this one is a must try for you. 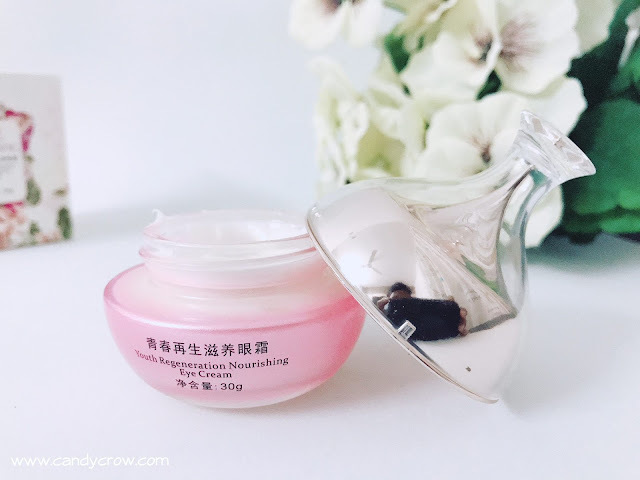 Shingjian eye cream comes in a cute tub type packing. The cream has a light fragrance and gets absorbed into the skin with a quick massage. 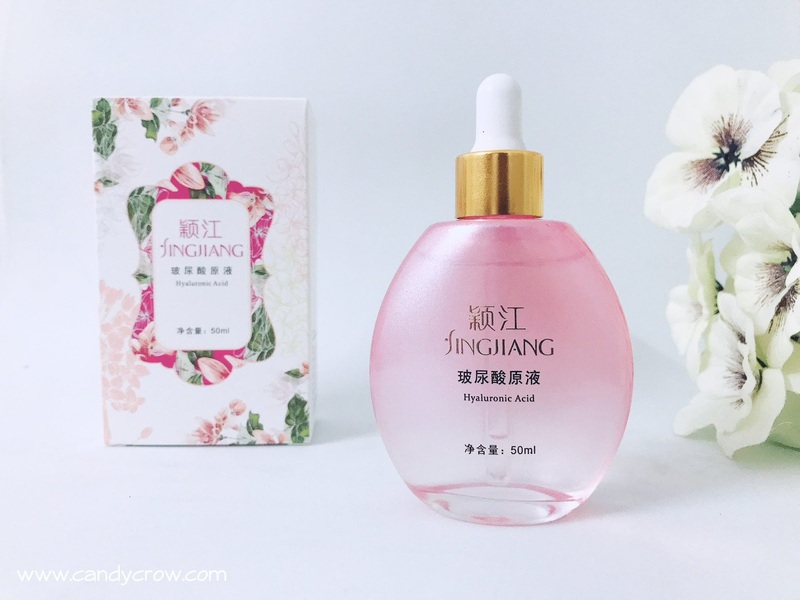 It has jojoba oil, seaweed, hyaluronic acid, collagen, and aloe vera extracts. 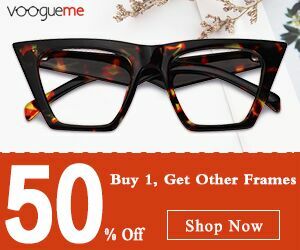 It claims to add to rejuvenate under eyes and clear the dark skin around it. I prefer using this as a night treatment. Yingjiang moisturizing cream comes in a pink color tub type packing. The fragrance of this cream reminds me of ponds cold cream. It has jojoba oil, aloe vera, and chamomile extract. This cream nourishes the skin and instantly hydrates it. 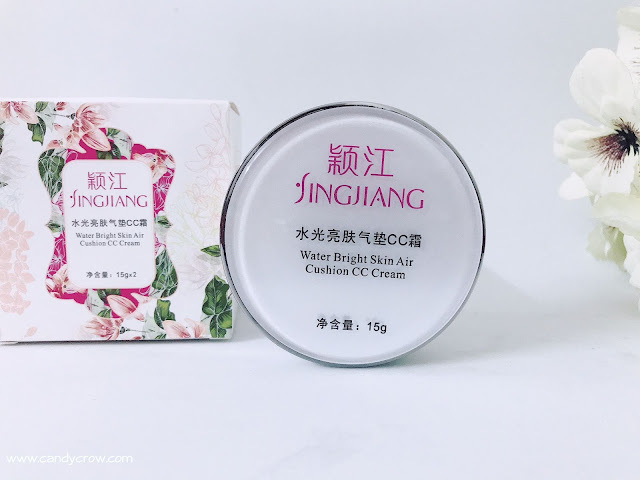 This cream has made my skin supple and glowing. 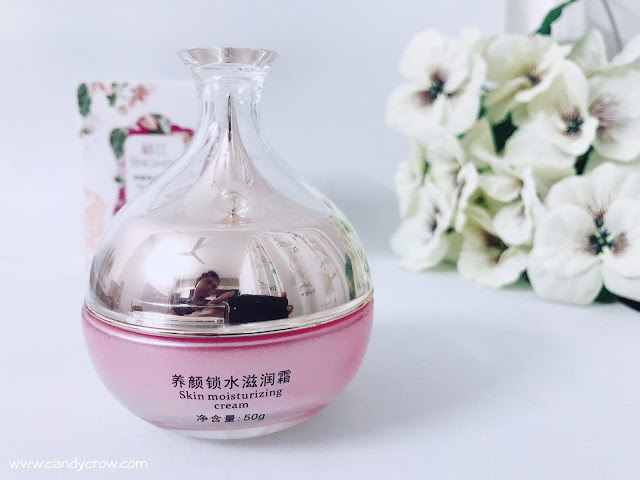 This moisturizer might be a bit heavy for summer, but it is an excellent choice for winter. 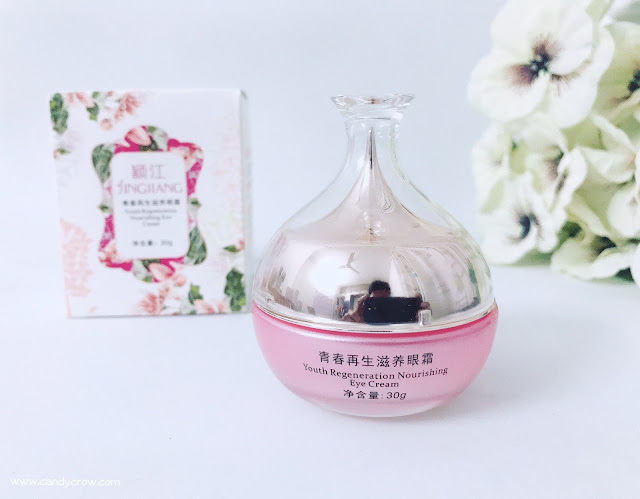 It is suitable for all skin type, it did not break me out. A little amount of cream comes a long way, I am sure this cream would last for 3 months with regular usage. The moisturizing lotion comes in a pump type packing, which is easy to carry around during travel. The lotion has a pleasing fragrance, and it nourishes the skin and keeps it so for 5 hours. It could be used during summer as well as winter.